Church of the Big Sky: Jeepers Creepy! 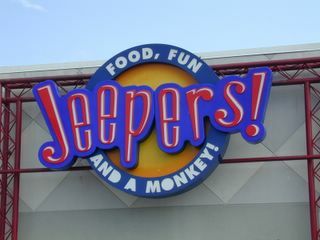 Food, fun, and a monkey! 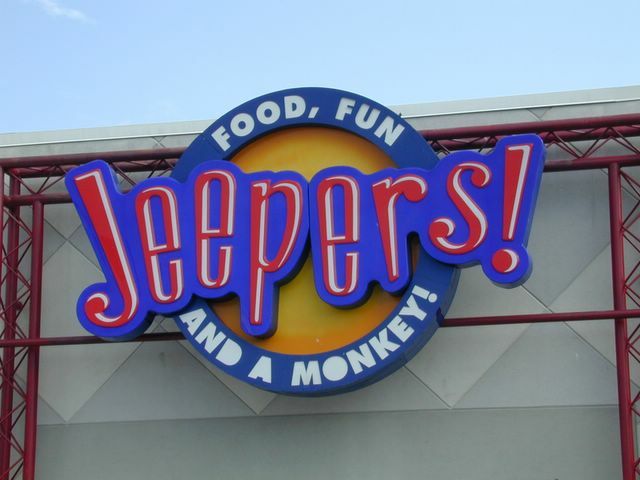 It's the monkey part that bothers me. I'm praying, for the benefit of all, that it's actually a bored teenager in a monkey suit and NOT a real monkey, ready to bite you and pee all over your pizza. Nuthin' says, "Happy Birthday, Li'l Jimmy!" like a trip to the ER to start that agonizing series of rabies shots! Pity the poor teenager in the monkey suit. You know he's there with the mop and bucket once the kids are out the door. Interestingly, the Sasquatch and I saw a man urinating in front of Jeepers one evening. This, in of itself, is not that remarkable in the city suburbs on a weekend night. It's the fact that he was walking and urinating at the same time that stuck in our minds. His forward motion meant that he kept walking into his own urine stream. We considered stopping and suggesting he consider walking backwards, but thought better of it. 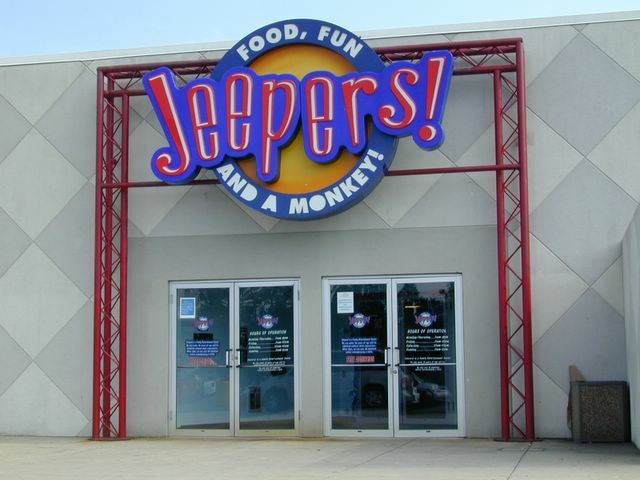 When in Rockville, do not disturb the urinating men or the monkeys at Jeepers. A mantra to live by.